How do I access my patient account for my Electronic Medical Records (EMR)? Click on the link in the upper right of this website to access our Patient Portal. You will need your patient ID and password to access your account. If you have never been supplied with a username and temporary password for initial access, you must call our office and ask to have your personal email address added to your file. Once your email address is associated with your file, our system will automatically generate an email to you with a secure PDF document containing your username and a temporary password for initial access. What information can I find in my Electronic Medical Records (patient portal) account? You will be able to see some (not necessarily all) information that you supplied to us regarding your medical history, as well as a list of your recent visits, and the doctor’s notes/comments from those visits. Any current and previous subscriptions may also be listed, if that information was supplied to us. What if I’ve forgotten my password for my Electronic Medical Records (patient portal) account? Click on the Patient Portal to go to the login screen, and then click the link that says, “Forgot Password”. Follow the portal system instructions. Can I complete my New Patient Forms before I come for my first visit? Yes! See the link in the website footer, or click here. Visit our Insurance Info page for the most up-to-date information on what insurance carriers we accept. We are affiliated with and provide services at GBMC in Towson, and the University of Maryland Medical Center Upper Chesapeake Campus in Bel Air, MD. We also provide services at the SurgCenter of Bel Air. See our Office Locations page for maps and more information. Are all services and tests available at all locations and during all office hours? No. The office locations listed above are for consultative visits and some basic office evaluations and procedures. More invasive procedures take place in one of three hospitals/surgical facilities where Dr. Hoyt has privileges. Note that hearing tests and balance testing are performed in Bel Air on Mondays and Fridays. They are performed in White Marsh on Wednesdays. I lost my pre- or post-operation instructions. Are they available on your website? Yes, click here for general pre-operation and post-operation instructions. 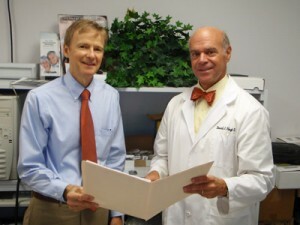 If Dr. Hoyt provided special instructions for you and you have lost them, please call our offices. Can I view your HIPAA Notice online? Yes! Click to download our HIPAA Notice for Patients.